Thirty-five seconds. In just longer than the average commercial during the Olympics, Sweden’s Petter Menning’s hopes for an Olympic medal will be determined. 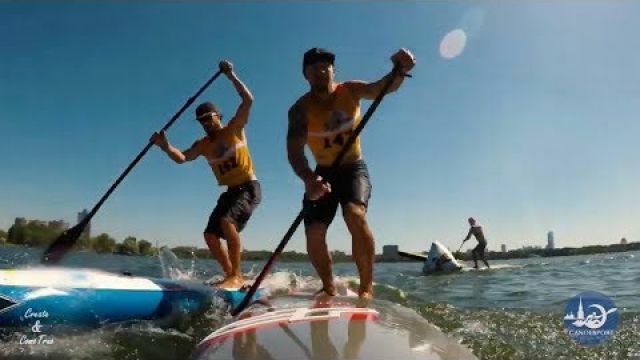 Menning, a sprint canoer, not only will be making his Olympic debut in Rio, but he’s also expected to compete for a medal with the likes of Canada’s Mark de Jonge and France’s Maxime Beaumont. And in an event that lasts 35 seconds, give or take, and features finishes by the slimmest of margins, anything can happen. Menning, who in 2013 became the first Swede to win the World Championships and European Championships in the same year, took time out of his busy training schedule to answer our questions – from a start when he spent nearly as much time toppled over in the water to becoming an Olympian. Congratulations on all of your success and reaching your goal of competing in the Olympics. Now that Rio is right around the corner, what are you feeling? Has it sunk in that you’ll be competing for a medal in the Olympics? Thank you! I have a great feeling about the Olympics, I am feeling faster every day, and I am very much looking forward to racing on the Olympic course. I don’t feel any pressure being in a favorite position for the medals, it only makes me more excited! 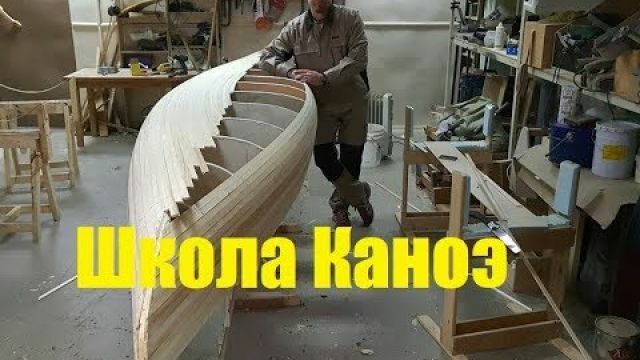 Why kayaking? How did you get interested in the sport? Tell us about your heroes. When I was younger, I did a lot of different sports, but when I followed a friend to the kayaking club, I immediately felt at home. My father was an alcoholic, and I didn’t liked to spend time at home, so I used sports as a way to stay out of the house. When I started out, the thing I liked most about kayaking was that I got to compete alone in the k1-kayak as well as in a team in the k2 and k4. The kayaking community was pretty small, and I made a lot of new friends. I wasn’t a talent or a child star, I mostly competed for the last or second-to-last spot in the races but enjoyed it anyway because of my friends from all over Sweden. 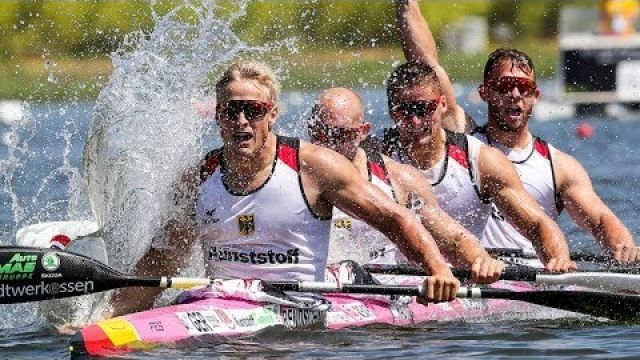 My childhood heroes were kayakers Markus Oscarsson and Henrik Nilsson, two Swedish guys who won silver in the Sydney Olympics in 2000 and the gold in Athens in 2004. I really looked up to those guys, as they showed me that dreams really can come true if you work hard enough. Soccer, judo, table tennis, ice bandy, karate and some more. You started kayaking when you were 13, and from the sound of it, it took a while to get the hang of it and get good? s had a strong sense that I really could be good if I just kept on practicing and believed in myself from the start. When I was 16 to 20, I had a lot of trouble with injuries and couldn’t paddle that much, but it all turned after that. I did my first international competition as a part of the Swedish national team in 2007, the year I turned 20, and I represented Sweden in the Nordic Championships. What changed? How did you go from someone who spent a good deal of time underwater to one of the best in the world? As I said, I always believed in myself, and I always enjoyed the sport. I think kayaking is as fun today as I did when I started 15 years ago, and I think that is a big part of my success. I never stop dreaming about being faster, better and stronger, and since I started out, I have always had goals for my training. Progress is a process, and I knew that if I kept on working, I would eventually reach my full potential. When did you know that you had a talent for kayaking? And when did you know you could become one of the best in the world? 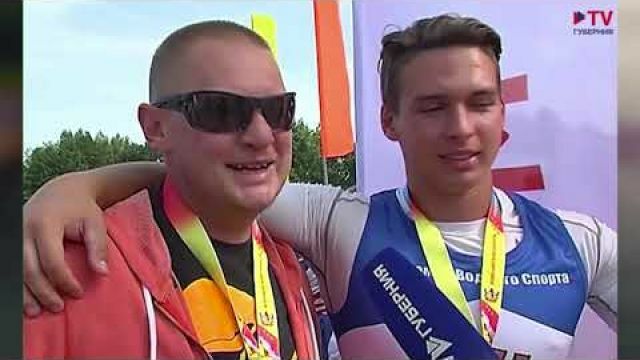 I think I realized that I could take medals at big, international competitions and become great in my sport in 2008, when my boat finished fourth in the Under 23 European Championships. We weren’t favorites for the competition, and everybody was surprised that we made it in to the final, but I knew that we could do a great race. I decided to try to make it to the Olympics after seeing my childhood heroes Markus Oscarsson and Henrik Nilsson win the Olympic gold in Athens 2004, but in 2008 I understood that I really could make the dream come true for the first time. In 2013, you won the World Championships and European Championships – the first Swedish kayaker to accomplish that feat. In the World Championships, you won by the slimmest of margins. What was that experience like and what was the impact on your career? The kayaking season of 2013 didn’t start out too great for me since my dad died three weeks before the European Championships, so it was a mixed feeling going in to the summer. The margins in 200m are always small, and there is usually 0.1-0.4 between the gold and silver medalist so it wasn’t a surprise to me to win by that little. It had an impact on my career in the sense that I knew that I was doing something right and made me work even harder for the future. My goal for every competition is do to the best race as can, and I know that if I succeed, I could get a medal but it’s not what motivates me: It’s the feeling of a really great race that gets me going!